Get All You Need from Your Data. “The best companies are more than 40% more productive than the rest,” resulting in “operating margins 30%-50% higher than industry peers,” according to research by Harvard Business Review*. Want to be more productive? The key is in the data, literally. When it’s easy to get the information you need, when you need it, you can make faster, smarter decisions that generate better business results. Most rely on NetBackup to make sure their data is there when its needed to keep their business moving forward. Recently, we made it even easier for customers to customize their NetBackup deployment to meet their unique requirements. Check out the podcast, “Introducing the NetBackup RestAPI”, now to see how to tailor NetBackup to ensure everyone gets what they’re looking for from your data. 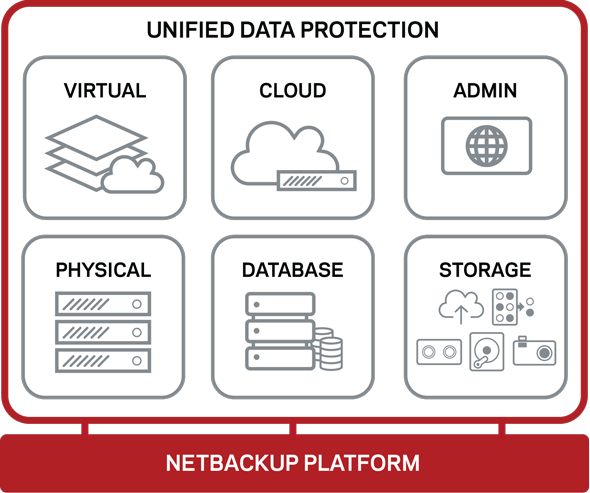 NetBackup 8.1.1 – the unified data protection you need to drive your business forward.